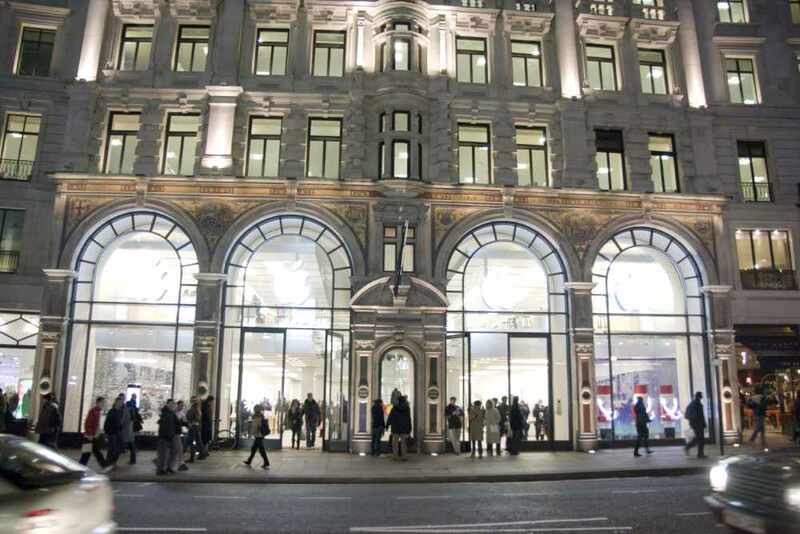 In addition to Macs in Moscow, there are Macs in England. 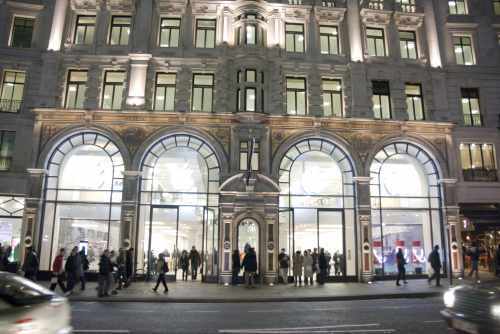 Apple has one of their flagship stores on Oxford Street, reputed to be the busiest shopping street in the world, in a building owned by the Queen. A week before Christmas 2007, it was packed with shoppers. This hand-held photo of the store was taken from across the street; the store was too crowded for photos on the inside. Photo by Lawrence I. Charters, taken with a Sony Alpha-700 digital camera. Apple also has “Premium Resellers” throughout the country. Chester, near northern Wales, is a walled city, with much of the city wall built by the Romans. 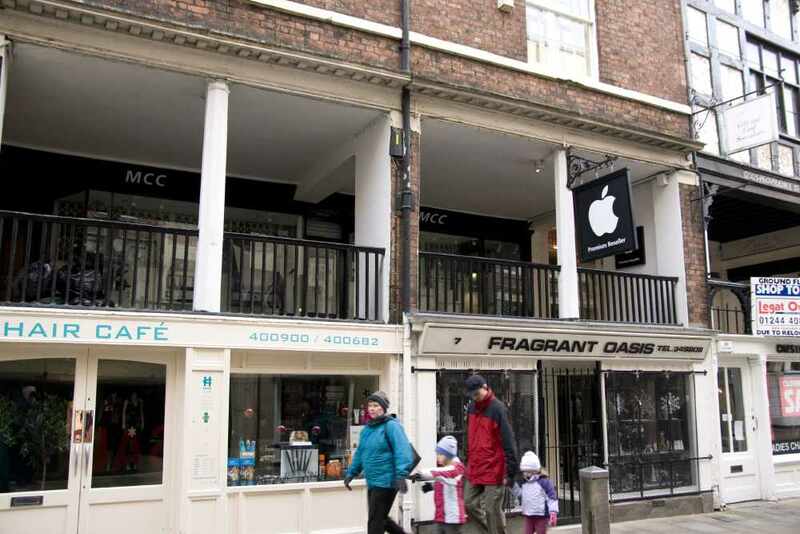 This Apple Premium Reseller is located in a 400 year old building, a nice mixture of the old and the new. Photo by Lawrence I. Charters, taken with a Sony Alpha-700 digital camera.